The Lincoln real estate market continued to make steady improvements in 2016. The first-half of the year experienced progress in both home prices and appreciation, although still below the national average. Prices for Lincoln real estate were up from one year ago, with gains in the last three years extending the trend of positive price growth since the recession. For homeowners and investors, the Lincoln real estate market remained on a recovery course in the first-half of 2016, with all signs pointing towards future growth. A compilation of factors benefited the Lincoln real estate market in the first six-months of the year. Along with an improving local economy, home affordability and new housing construction continued to fuel growth for the Lincoln housing market in 2016. Looking forward, the rise of investor activity in Lincoln is also expected to increase, which bodes well for homeowners and investors. Homes purchased in the Lincoln, NE housing market one year ago have appreciated, on average, by $24,657. The national average was $14,963 over the same period. Homes purchased in the Lincoln, NE housing market three years ago have appreciated, on average, by $28,184. The national average was $46,878 over the same period. Homes purchased in the Lincoln, NE housing market five years ago have appreciated, on average, by $31,935. The national average was $82,353 over the same period. Homes purchased in the Lincoln, NE housing market seven years ago have appreciated, on average, by $8,281. The national average was $77,054 over the same period. Homes purchased in the Lincoln, NE housing market nine years ago have appreciated, on average, by $41,147. The national average was $31,126 over the same period. Total home equity for the Lincoln real estate market experienced a mild boost during the first-half of 2016. While still lower than the national average, gains in home equity for Lincoln real estate have rebounded as price appreciation and principle payments in the last three years have boosted total equity growth since the recession. The last nine years have recorded decent equity gains for Lincoln real estate, with the largest margin of gains being in year seven, when homes appreciated by $44,218. However, homes purchased in 2005 reached $48,797, compared to the national average of $34,380. For those considering Lincoln real estate investing, the rise in equity gains is a positive sign of things to come. According to RealtyTrac, there were 181 properties in Lincoln in some stage of foreclosure during the month of December. This represents a 33 percent decline from the previous month, and is four percent lower than the same period last year. Bank owned real estate is another choice for Lincoln real estate investors. The number of REO properties in the area is 35.7 percent lower than the previous month, but 12.5 percent higher than the period last year. The Lincoln real estate market fared well during the second quarter of 2016, as home prices and appreciation rates improved. The median home price for Lincoln real estate was $162,700, compared to the national average of $239,167. One-year and three-year home appreciation rates were 2.5 percent and 12 percent respectively. While home prices and appreciation recorded lower gains than the national average, the Lincoln real estate market continues to advance in the right direction. Moreover, gains in the past three years have extended the trend of positive price growth since the recession. Market factors contributing to the growth of the Lincoln real estate market include the local economy, new housing construction and home affordability. Homeowners paid 7.6 percent of their income to mortgage payments during the second quarter, whereas the national average paid 15.8 percent. Affordability for the Lincoln housing market continued to flourish in the second quarter, as new housing construction remained hot. The current level of construction is 42.1 percent above the long-term average, while single-family housing permits reached 11.9 percent. In comparison, the national average recorded 10.6 percent single-family housing permits in the second quarter. That said, construction is on the rise relative to last year, suggesting the local inventory has stabilized. The local economy in Lincoln also achieved meaningful progress in the first-half of 2016. The unemployment rate for the area was 3.1 percent during the second quarter, compared to the national average of 4.9 percent. On the other hand, employment has held up and is on an upward trend, as one-year job-growth in the city reached 1.5 percent. Looking forward, the Lincoln real estate market is forecasted to see less growth in the next 12 months than the rest of the U.S. According to the National Association of Realtors (NAR), home prices for Lincoln real estate are predicted to grow by 2.9 percent, compared to the national average of 3.6 percent. 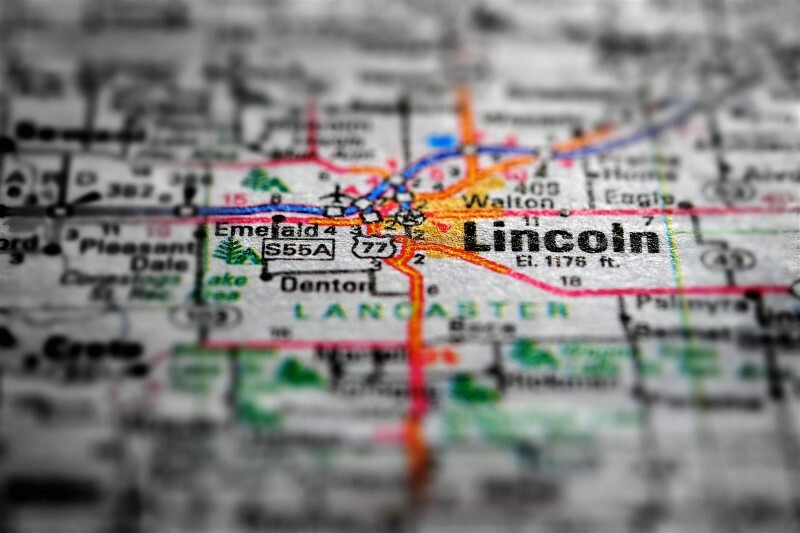 Despite smaller predictions than the rest of the country, the Lincoln real estate market is poised to see continued growth in the next few years.